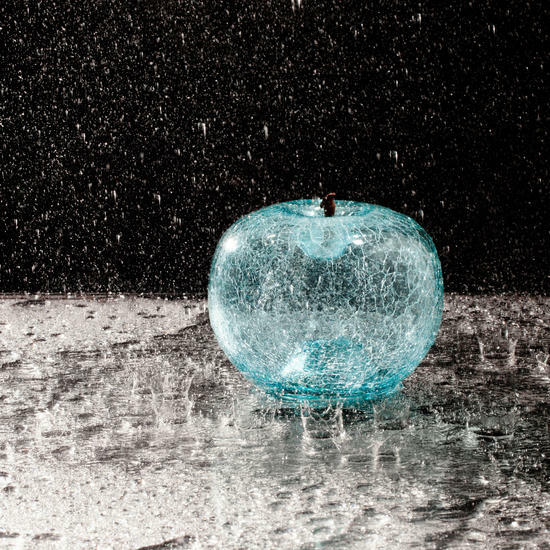 Throughout time, the apple has been a symbol of the Earth, of life itself, of knowledge and of sensuality, being the apogee in the lives of Adam and Eve, Sir Isaac Newton, Rene Magritte and Snow White. 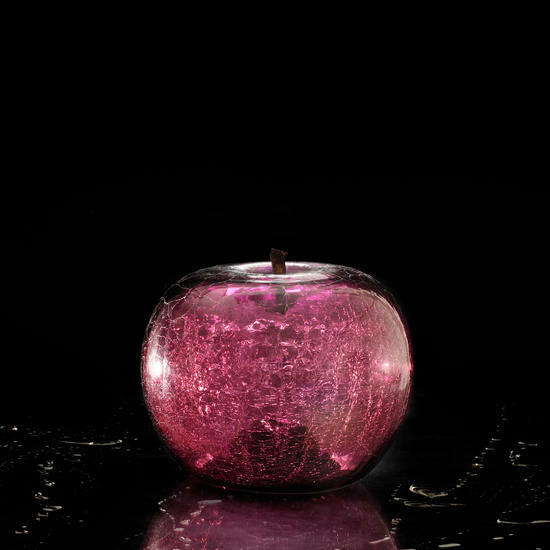 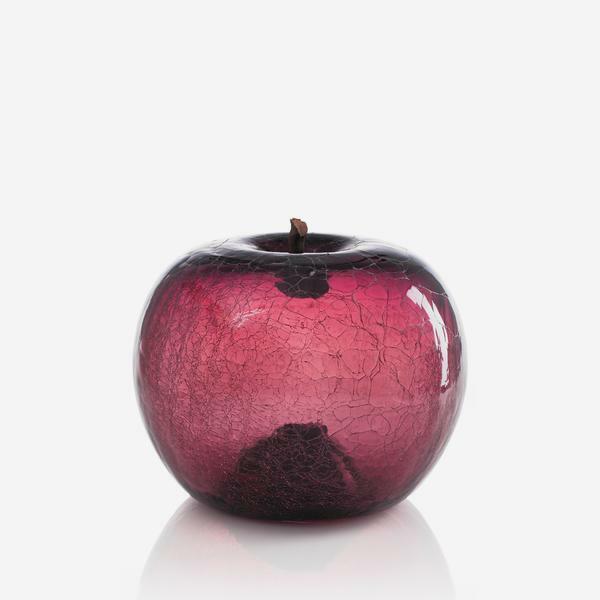 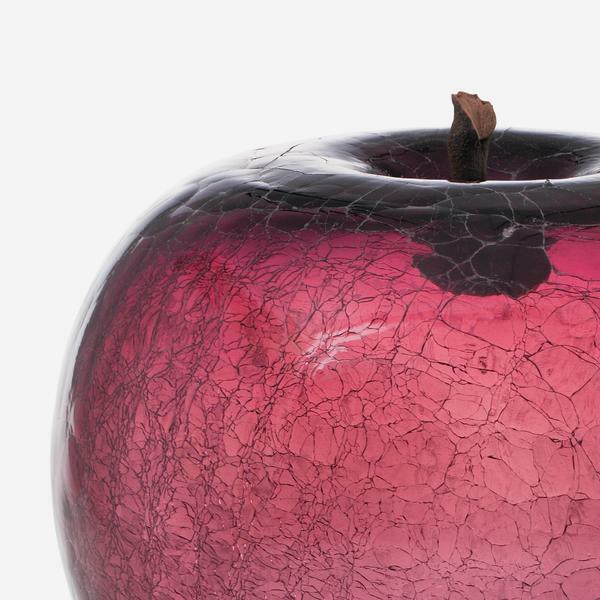 So Bull & Stein have reinterpreted this mystic fruit for the home, creating eye-catching glass sculptures with a modern, surrealist twist. 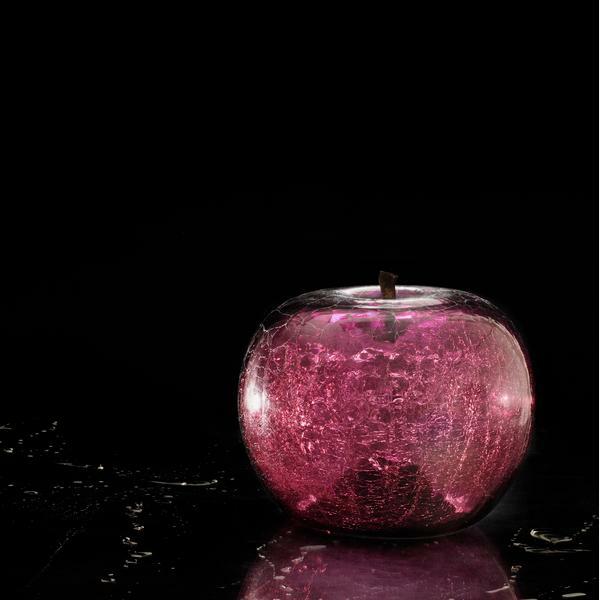 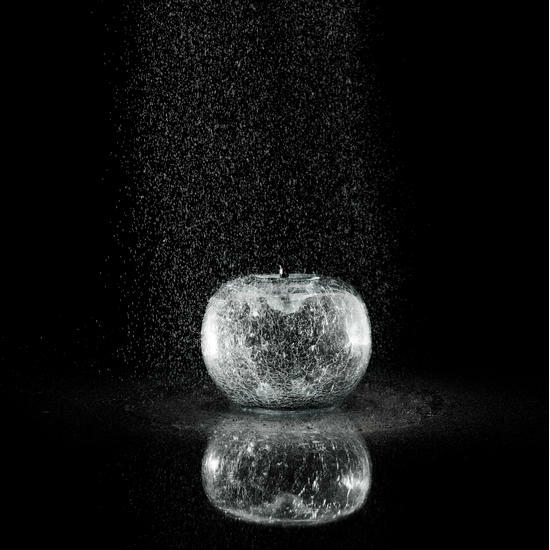 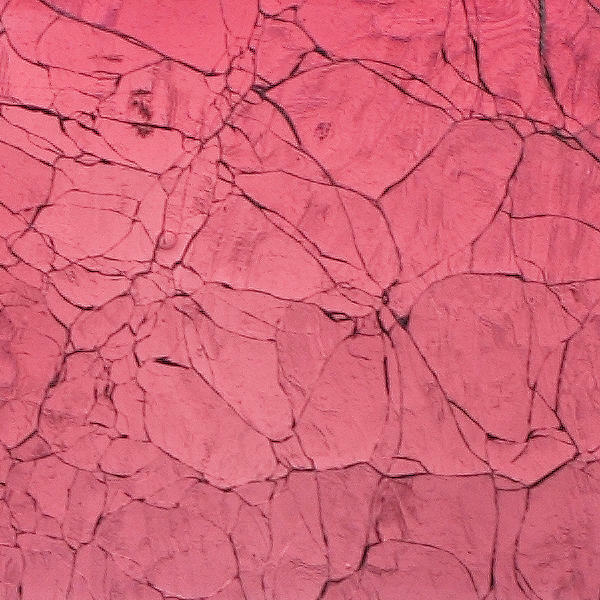 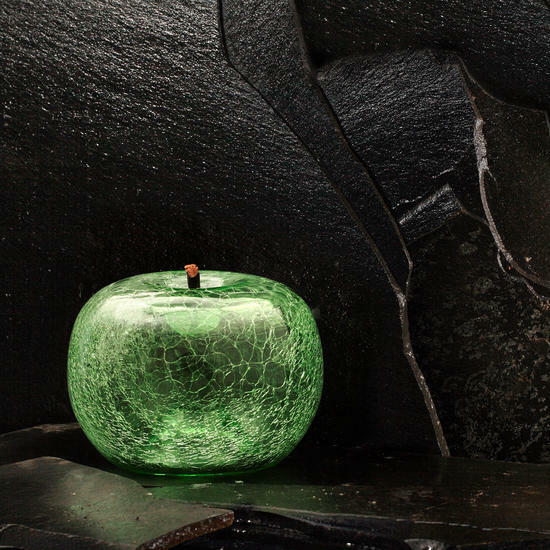 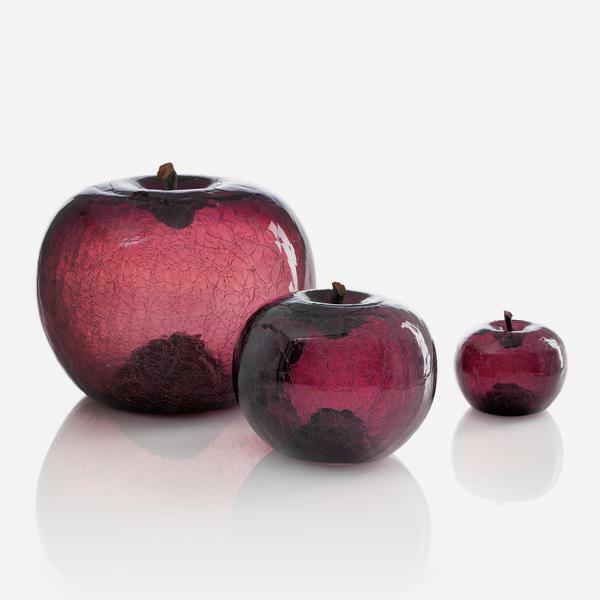 The crackled glass effect has a crystal-like appeal in 5 transparent colours and it is available in 3 different sizes, so you can find the most eccentric apple to fit your space.